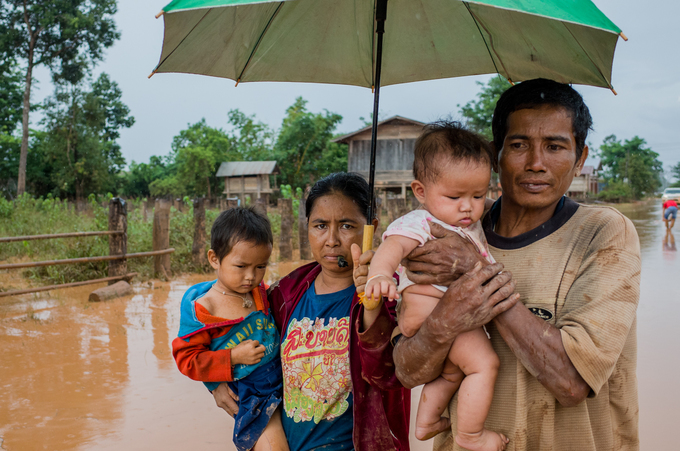 After studying alternatives to mitigate the impacts of pending dam projects in Laos and Cambodia, experts say, just say NO. Two separate reports by the California-based National Heritage Institution (NHI) foundation address the impact of pending dam projects in Laos and Cambodia that severely threaten the vital core of the world’s most productive riverine ecosystem and the Mekong Delta. Both studies were led by Gregory Thomas, an American with extensive experience studying fisheries and sediment issues on tributary river dams in Vietnam and Laos, and more than a dozen international and regional co-authors and contributors. The first report, The NHI’s Sambor Alternatives Assessment, was prepared under a 2014 Memorandum of Understanding with the Cambodia Ministry of Mines and Energy and submitted in December 2017. The Sambor study considered ten alternatives, of which seven were the most thoroughly explored. Ultimately the authors settled on one of several variants of what it called Alternative 7 as the alternative with the highest potential for mitigation. Other alternatives included relocating the dam upstream on a part of the river with several braided channels, some of which could be left open for fish and sediment passage, and only blocking half of the mainstream at the planned site. In the end the report’s authors concluded that not even “Alt 7” would be acceptable in terms of impact on fisheries and sediment flows into the Delta. Among other factors, fish screens that would be necessary to keep the fish away from the turbines would not be financially feasible. Instead, the study recommends not building any version of Sambor at all and instead deploying a floating solar array on the reservoir of the Lower Sesan 2 dam. The rationale and feasibility of this alternative to can only be assessed via a very close reading of this very large and complicated document, which also discusses the financial and technical feasibility as well as the environmental considerations. The second NHI report, called the Hydropower Master Plan for Xe Kong [Sekong] Basin in Lao PDR, was submitted to the government of Laos on February 18, 2018. The report determined that while it’s too late to do much about the impact of the scores of existing dams on the Sesan and Srepok rivers, there is still time to reconsider the two cascades of dams planned for the lower and upper reaches of the Xe Kong. The Lao study focuses on some 13 dams planned or under study for the Xe Kong River, the last of the “3S” Rivers that currently remains fully open to wild fish spawning runs and the flow of nutrient-rich sediment during the flood season. Both of the other 3S rivers, the Sesan and Srepok, are fully compromised by nine Vietnamese dams and one very large Cambodian project, Lower Sesan 2. That highly controversial project was constructed by China’s Hydrolancang International Energy Company and reportedly financed to the extent of 70 percent by the China Development Bank. Before its construction, anti-dam experts estimated that it would block the spawning migration of as much as 17 percent of the Lower Mekong Basin’s wild fish stocks and the flow of a similar share of its total sediment load. The planned Xe Kong 1 dam near the mouth of the river would have a similar effect, though not necessarily as large. As in the case of the Sambor report, the Xe Kong study proposes supporting Laos’ energy aspirations while keeping the river free of dams by installing floating solar panels on about 15 percent of the reservoir surface of the already operating Xe Kaman 1 dam, a mostly Vietnamese-owned project that has been constructed high up on tributary to the Xe Kong, where the impact on fish is relatively unimportant. The concept would involve connecting both sources of electricity to the same power house so that they can complement each other. The dam would generate electricity at night when the solar array cannot. If, in the future, the combined output of the Xe Kaman 1 dam should not meet Laos’ energy needs, the master plan is adamant that the construction of any dams should be wholly restricted to upper reaches of the river and its tributaries that are already inaccessible to fish migration because of Xe Kaman 1. In no event, they say, should dams ever be built on the lower part of the Xe Kong River, especially the planned Xe Kong 1 dam. Both studies are highly cognizant of the motivations of the countries for building the dams but acknowledge that the financial, technical, and ecological risks are significant and that the concerns of both Vietnam and Cambodia about the Xe Kong dams, and Vietnam’s concerns about the Sambor project, could undermine regional stability. Cambodia, with some 13 million people, has a major environmental-development dilemma. The country has some of the highest cost electricity in Asia and insufficient power to support industrial development, but about half of the population–and the poorest part–is highly dependent on fish for food and livelihoods. The 2,600 MW Sambor dam would tower 33 meters high and because the Mekong at this point is wide and comparatively shallow the dam would be 18 kilometers wide, making it far larger than the largest dam under construction on the Lower Mekong mainstream, the 1,260 MW Xayaburi dam. As an upstream, mountainous, landlocked country with a small population of about 7 million most of the socioeconomic and environmental costs of hydropower development are shifted downstream to Cambodia and Vietnam’s Mekong Delta. In both NHI reports the authors concluded that the dams in question cannot be adequately mitigated, and that the decimation of as much as 80 percent of scores of valuable wild fish species and the trapping of sediment flows would be disastrous. The most interesting thing about the reports is the proposed alternatives of deploying voltaic solar collector panels on barges on part of two existing dam reservoirs and integrating them into the dam powerhouses. *Richard Cronin is a Mekong specialist at the American think-tank Stimson Center.